We regularly take calls from Money Metals Exchange customers who have been bamboozled and taken for a ride by one of the many rare coin dealers and their extortionately high prices. Generally it's the same sad tale. A customer will inform us he bought some purportedly valuable rare gold coins two or three years earlier – before the market price of gold rose by better than 50%. Believing his investment decision to have been vindicated, the owner calls up the same outfit who sold him the coin, only to find out the buy-back price for that coin is barely what he paid years earlier... when the market price of gold was hundreds of dollars lower than it is today! So what happened? And why do so many people continue to sink their serious money into the illiquid and usually underperforming rare-coin collector market? Lie #1: Rare Coins Are Uniquely "Confiscation Proof"
This falsehood keys on President Franklin D. Roosevelt's Executive Order #6102 which ordered citizens owning more than 5 ounces in gold coins to turn in the "excess" coins for dollars and made "hoarding" gold a crime. There was an exception made for truly rare and collectible gold coins (much of what numismatic salesmen sell today would not fall under this definition, by the way). 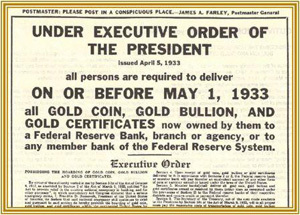 Only months later, FDR devalued the dollar by almost 50% and reset the official price of gold to $35 per ounce. by the rare coin dealers themselves. At that time, the dollar was formally backed by gold. Forcing the public to turn in its gold made it possible to expand the money supply in an effort to counteract deflationary pressures and fund massive new federal government spending programs. But President Richard M. Nixon slammed shut the gold window in 1971, so money can now be printed without this important restraint. In other words, central planners no longer "need" your gold to pursue their inflationary policies. Under two federal laws – one passed in the early 20th century and another from the 1970s – the U.S. government claims the power to seize any private asset whatsoever in times of national emergency or war. Nothing is automatically exempt. There is no requirement that gold be held by the Treasury to back the money supply, so the "need" to seize gold in order to inflate the currency no longer exists. 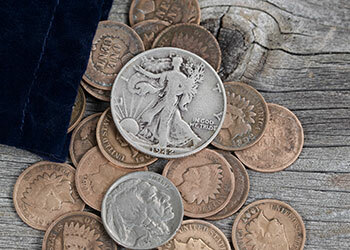 To supposedly protect against the remote chance of a future confiscation, rare coin buyers suffer immediateconfiscation of some of their wealth by failing to buy "mere" bullion coins, bars, and rounds in the first place. The truth is that government reporting requirements are virtually identical for numismatics and bullion. 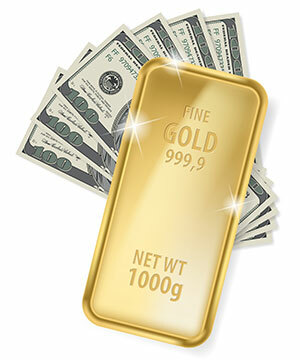 Only in extremely rare instances are buying or selling bullion gold or silver reported to the IRS by dealers. The primary exceptions are purchases using more than $10,000 in actual cash or sales of very large gold and silver bars and 25 ounces or more of certain one-ounce foreign-minted gold coins. 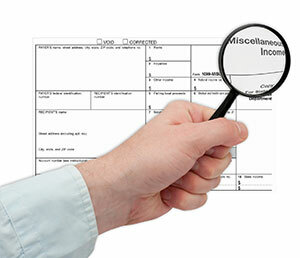 In the overwhelming majority of transactions, dealers are NOT required to file any kind of report. What rare coin salesmen "forget" to mention is that any capital gain you enjoy in selling a rare coin is still something that you, as an individual taxpayer, must report on your tax return – whether or not a 1099 information return was filed by your dealer. Tax obligations are the same for both numismatic and bullion coins for sale. Gains on coins held longer than one year are taxed at the collectibles rate, which is 28%. Short-term gains are taxed as ordinary income. Far from delivering greater actual, bankable profits than bullion, the opposite is usually the case with numismatics. The outrageous buy/sell spreads so common with numismatics (and proof coins) severely eat into the profit potential associated with owning them. 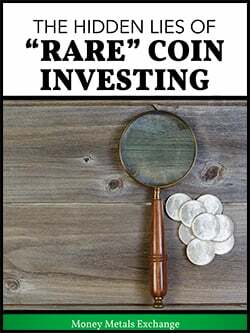 Here's a great example of the ridiculous transaction costs in rare-coin investments: A customer calls and says he wants to trade rare coins for some cheap junk silver. 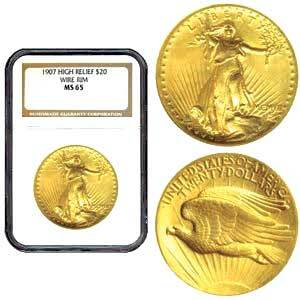 Suppose he had bought 5 one-ounce gold coins from the 1890s for roughly $5,800 when gold was $320 per ounce. Rare coin dealers today are buying those same exact coins for just a little over the current spot price of gold. Gold has risen 400%, yet a hypothetical numismatic investment, after accounting for transaction costs, is up a paltry 30%! Unfortunately, stories like this are more common than numismatic pitchmen would like you to think. Bottom line: always ask for what the buyback price would be on a coin if you were to sell it back later that day. For bullion coins, bars, and rounds, this spread is almost always less than 10% (and can be as low as 5%). But for rare coins, it's generally 30% to 40%. Almost all rare coin dealers have the good stuff – actual bullion – for sale. But they can be counted on to try steering you toward their high-premium numismatics, which reward the high-pressure salesmen with fat commissions. And if you think the U.S. is heading for rough times, do you really think people will be willing increasingly to pony up cash to buy rare coins at many multiples of their intrinsic value? However, for your serious investment money, stick with the "boring" investment gains that come with gold and silver bullion – or, only buy historic coins when they are offered for sale near their actual melt value.